At Highlands Family Chiropractic Center, we aim to provide only the best and most advanced care for our patients. Chiropractic BioPhysics® allows us to do exactly that—as a proven technique that aims to bring your spine back to proper alignment by utilizing physiology, geometry, biology and even physics to find the root cause of your problem. This means that your care plan is put together with findings based on sound science as well as the important principals of chiropractic care. CBP® focuses on more than just relieving your pain—instead, it goes a step further to find and correct the underlying issue causing your pain and other symptoms. Often times, patients may visit us for one issue and notice that several end up resolving with care. That’s precisely because CBP® is addressing the root cause instead of just masking a symptom. Patients often report things like posture improvement, mood enhancement, overall pain relief and a general feeling of improved wellness. Your care plan may look entirely different from someone else’s with CBP®, as we aim to treat each specific person as an individual and only recommend care that will uniquely address your issues. 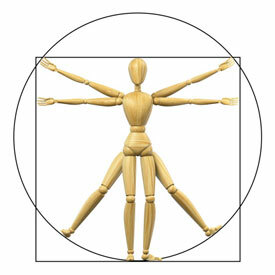 The ultimate goal is to balance your nervous system and restore spinal alignment, therefore improving function. At regular visits, you may receive a combination of care including an adjustment, spinal remodeling or exercise and stretch recommendations. If you’d like to learn more about how chiropractic care can positively influence your life, we’d love to welcome you to our practice. Get started today by booking your appointment for CBP® in Centennial.